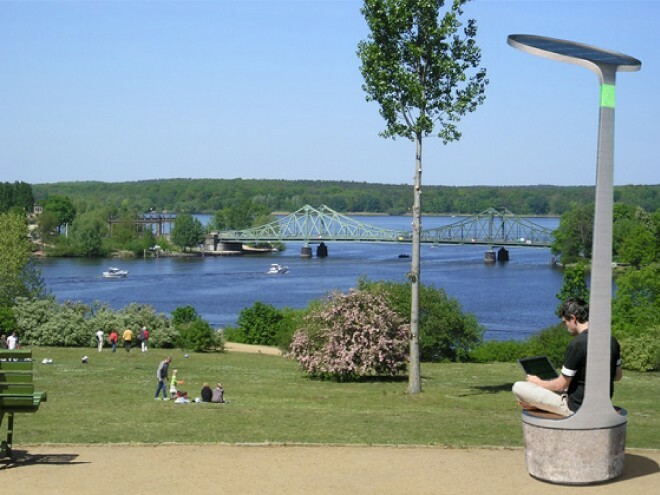 Sun stations are pieces of public furniture that provide free solar energy in open areas, allowing people to charge and use electronics in a wider variety of places. As we grow more dependent on our electronic gadgets, the amount of places where we carry out our daily activities becomes more restricted. Sun Station offers an alternative to the endless need for bigger and better individual batteries by providing a communal free source of clean energy at the point of use. The solar cells can also be connected into the local energy grid acting as in-city energy collectors, providing a constant feed of green energy into the city. Sun stations provide approx. 84W - enough for laptops, cell phones, etc. The energy is generated entirely by Mono crystalline solar cells located 3 meters above ground for less shading and higher efficiency. The solar cells are set on security glass allowing people to immediately recognize where their energy is coming from. 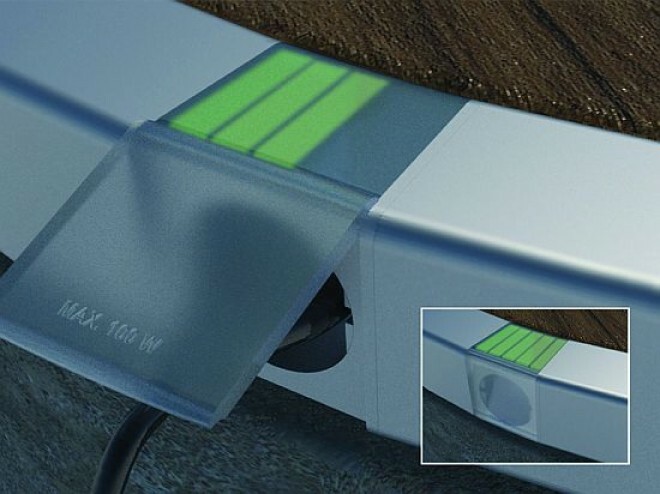 The energy is stored either in a battery pack or in a grid-tied system under the seat. 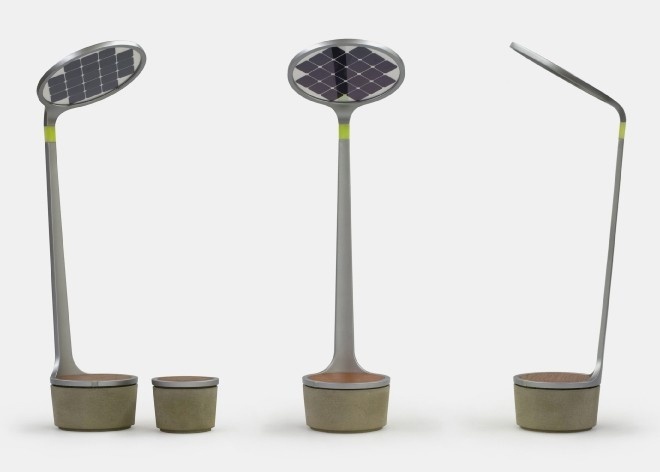 Soft local lighting, orientation, and display of energy availability are provided by a green light located under the solar panel.